PRICE REDUCED BY 5K! 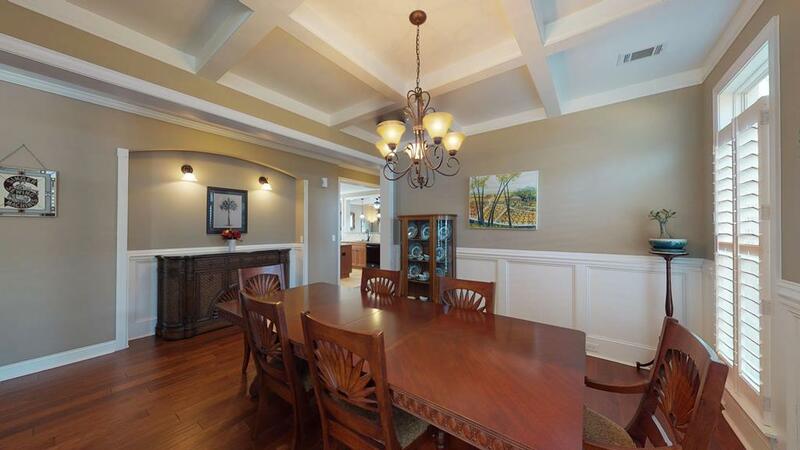 Beautiful 5 bedroom brick home in Bergen Place West! Gorgeous hardwood floors! Plantation shutters! 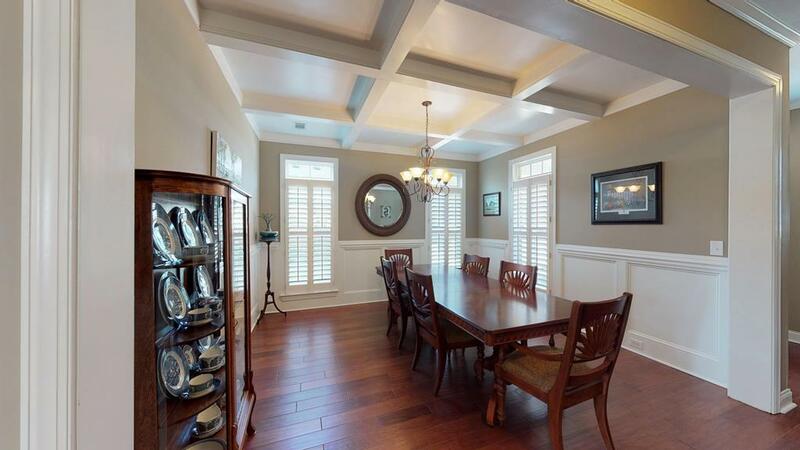 Dining room with coffered ceiling & wainscotting! Open concept kitchen features ceramic tile floors, granite countertops, breakfast bar, gas range, pantry, large island, & breakfast bar! Refrigerator stays! Guest bedroom & full bath on main level! 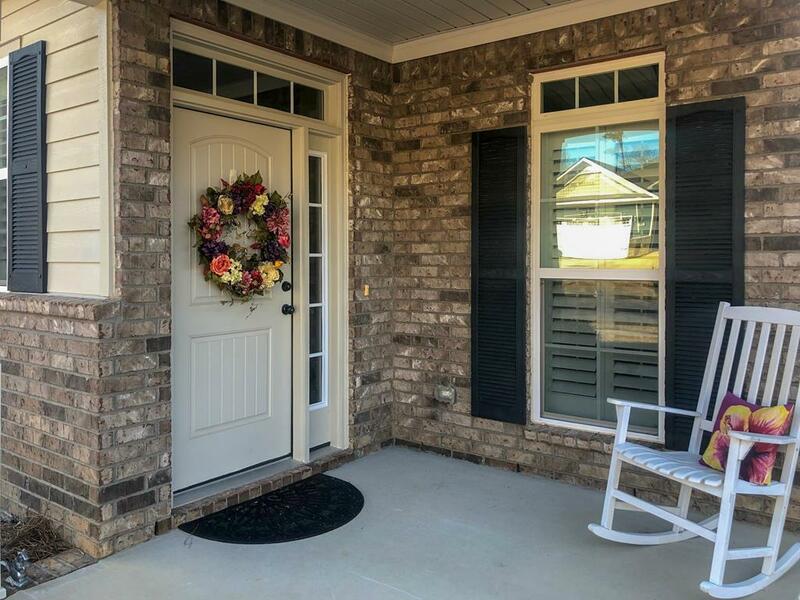 Large owner's suite with trey ceiling, bathroom with double sink vanities, garden tub, separate shower, & large walk in closet that connects to the laundry room! 2 spare bedrooms with a jack/jill bathroom + another bedroom with full bath! Fenced backyard with oversized back patio, trees beyond the fence which are part of the property, & 2 storage buildings that stay! Solar panels reduce the monthly power bill significantly! Nest smart thermostats! Hot tub & washer/dryer stay with acceptable offer! Double car garage! Sprinkler system! 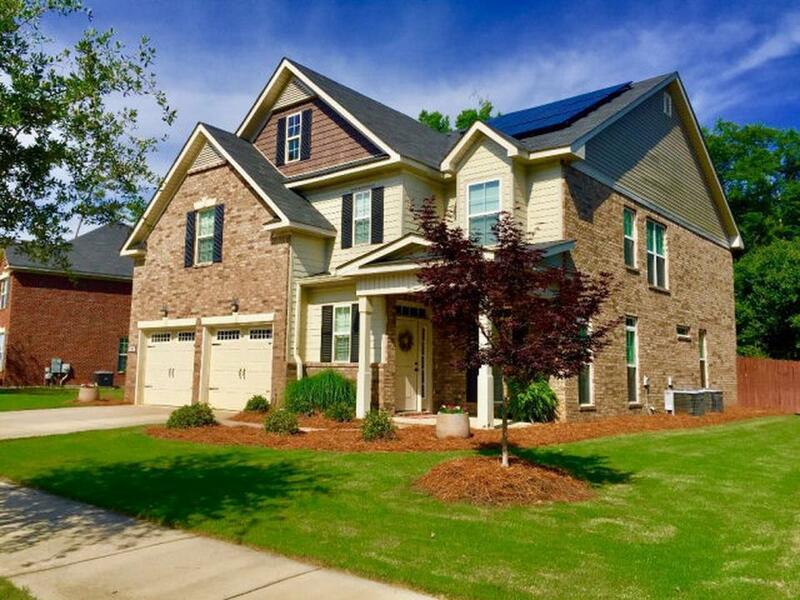 Convenient to I-20, downtown, shopping, & the Greeneway!